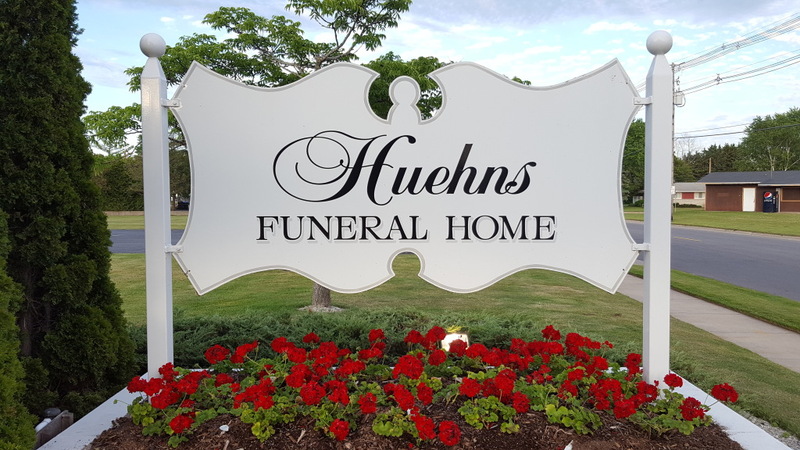 Huehns Funeral Home, Inc. & Door County Crematory LLC have served Door County and northeastern Wisconsin area families since the establishment of Hahn Funeral Home in 1884. Huehns Funeral Home offers families the largest and most-spacious life tribute funeral facility in all of Door County, with the availability of up to three elegantly-decorated, full-size chapels (the largest in all of Door County) for families who may not have a church affiliation or just prefer to have their services held at our facility. 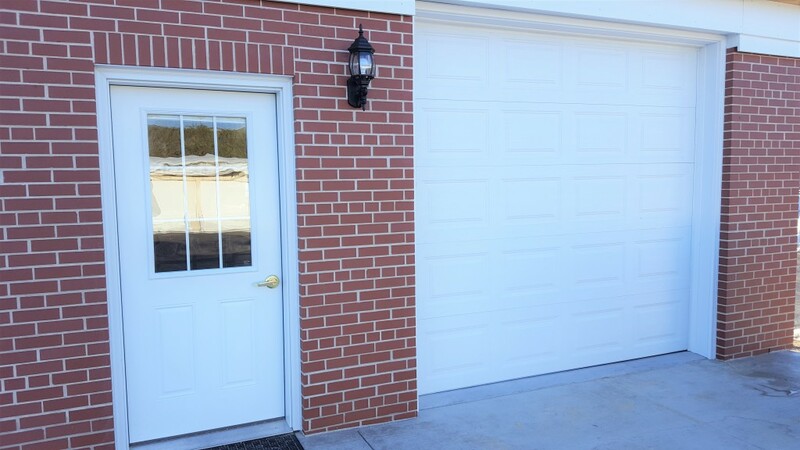 Our family takes great pride in the modifications we've made to our facility over the years. From updated/remodeled interior decor and handicap accessible restrooms, to the addition of large flat screens for digital name board use and memorial tribute video viewing, to the installation of wireless internet for (free) public use, to the installation of high-quality sound, to the availability of Door County Coffee, our family is constantly thinking of you. We also offer a private family lounge in a homelike setting, complete with kitchen facilities and a play area for young children. Families are welcome to bring in food and beverages, or we can help cater in food. Huehns Funeral Home - sign (viewable from Michigan Street). Huehns Funeral Home - exterior building. Our main Michigan Street entrance in our funeral home foyer. Our foyer from our main Michigan Street entrance. 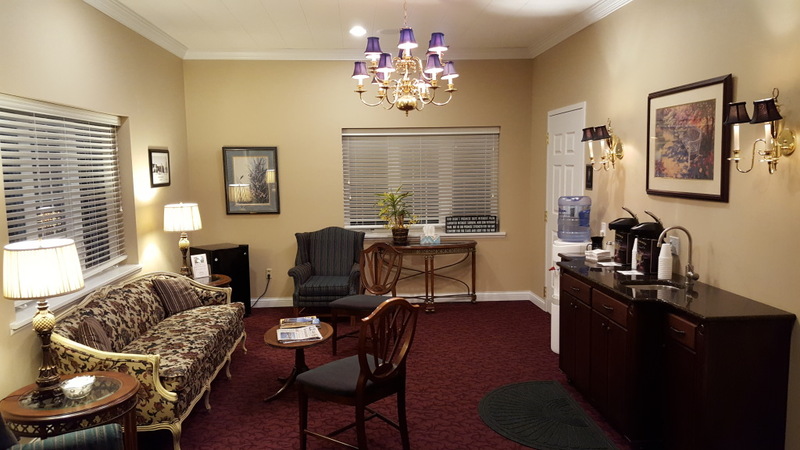 Our coffee lounge with (handicap accessible) restrooms available to the public. Our display case in the coffee lounge is filled with interesting artifacts and items from over the years - everyone can relate to something in here. Our east entrance in our funeral home foyer. Our foyer from our east entrance. 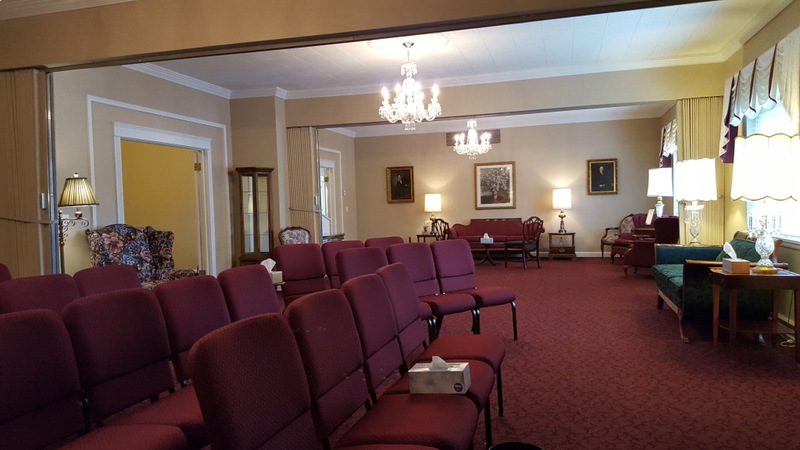 Our East Chapel/Tribute Room (view from the south looking north) available to families for visitations, funerals, and memorial celebrations of life. 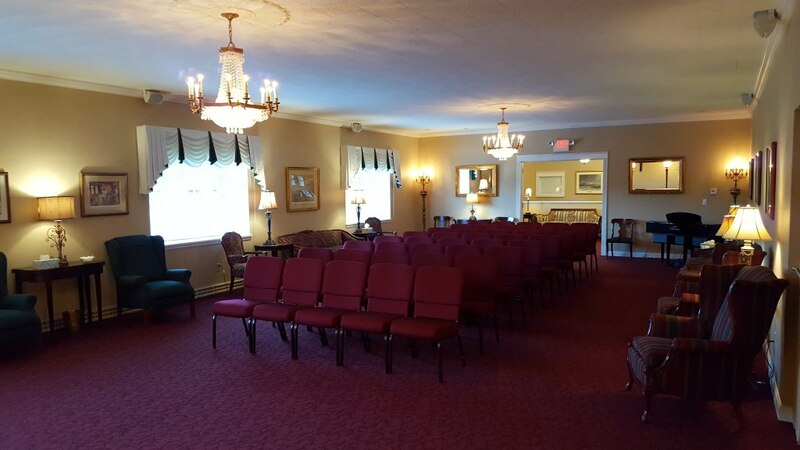 Our East Chapel/Tribute Room (view from the south looking north) available to families for visitations, funerals, and memorial celebrations of life set up with greater seating accommodations for larger attendance services. Clavinova available for live music during visitations, funerals, and memorial celebrations of life. 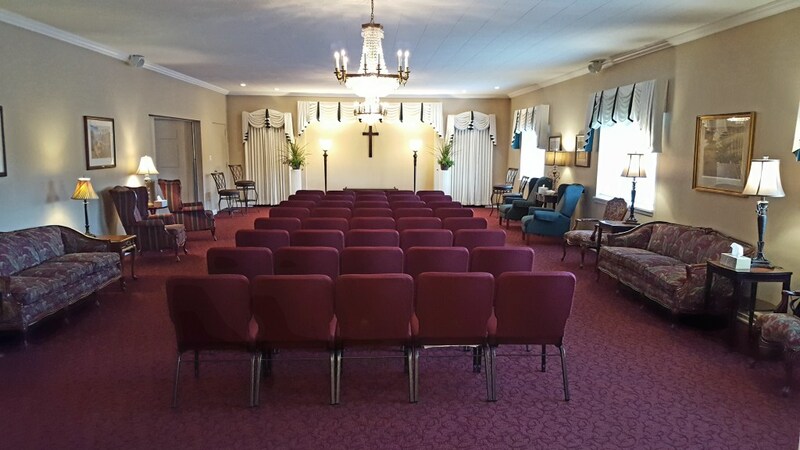 Our East Chapel/Tribute Room (view from the northwest looking southeast) available to families for visitations, funerals, and memorial celebrations of life. 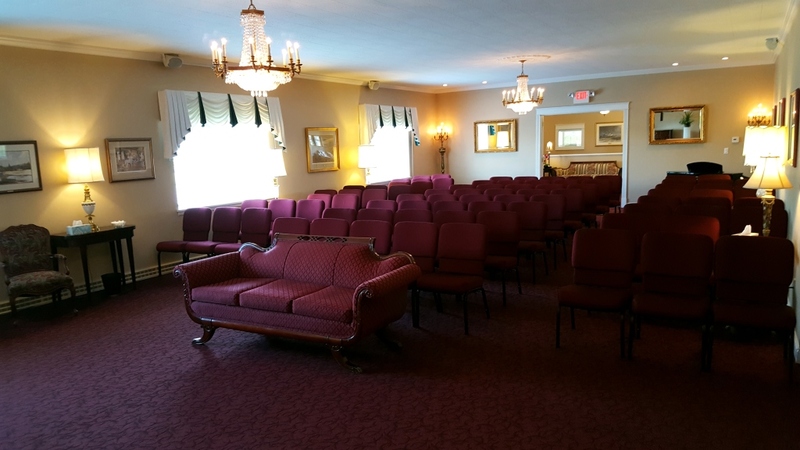 Our East Chapel/Tribute Room (view from the northwest looking southeast) available to families for visitations, funerals, and memorial celebrations of life set up with greater seating accommodations for larger attendance services. Our Memorial Tribute Video viewing area in our West Chapel/Tribute Room. 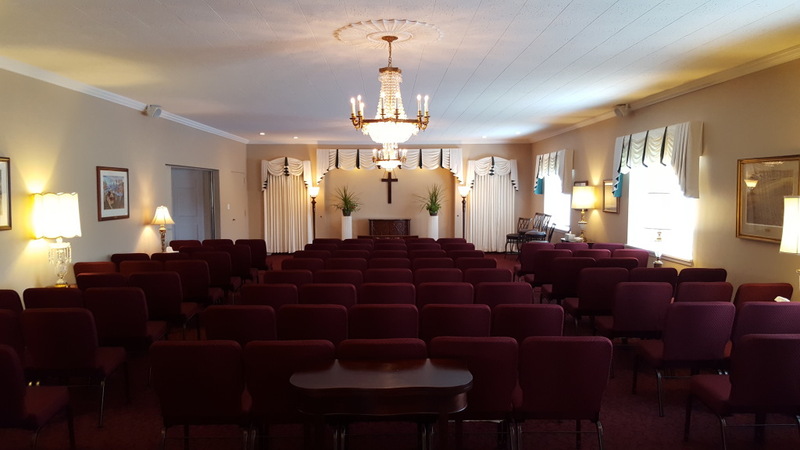 Our West Chapel/Tribute Room (view from the north looking south) available to families for visitations, funerals, and memorial celebrations of life. Hallway between our East Chapel/Tribute Room (on the left) and West Chapel/Tribute Room (on the right). 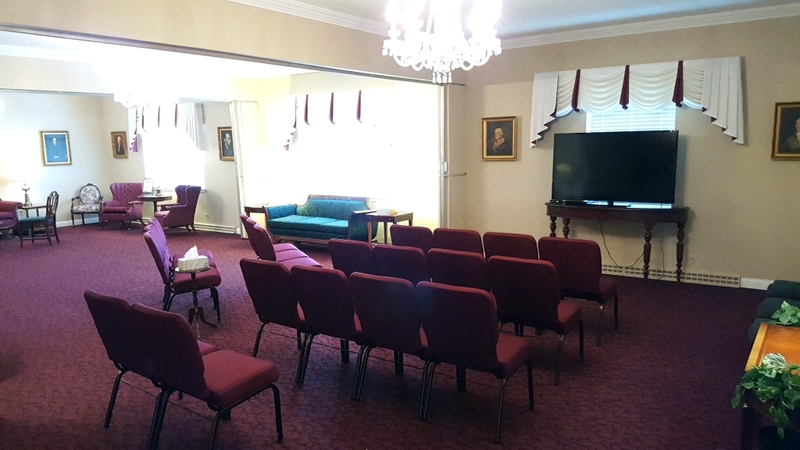 Our West Chapel/Tribute Room (view from the south looking north) available to families for visitations, funerals, and memorial celebrations of life. Our primary arrangement room. 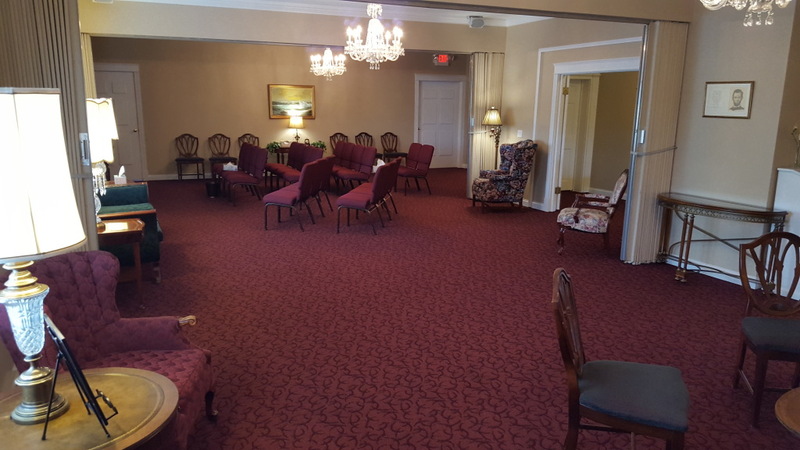 During visitations and funeral/memorial services this room also serves as a private area for families. 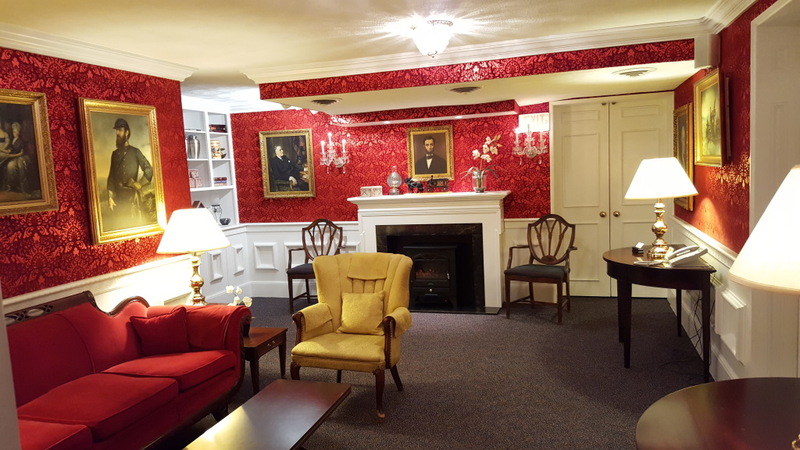 Our Red Room located just outside of the family lounge - with original decor and style. Our family lounge kitchenette and television viewing area available to families. Our comfortable family lounge with children's area available to families. The exterior (staff) entrance to Door County Crematory LLC located on the northeast corner of the building. 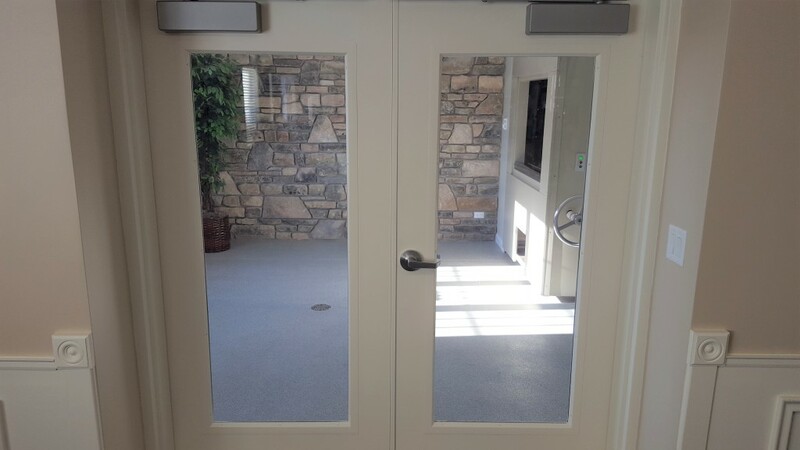 When our family envisioned the construction of the Door County Crematory LLC facility, we wanted to make sure it allowed for private viewing by family (if desired) of the casket or alternative container that a person would be cremated in, right from the comfort of our existing funeral home. 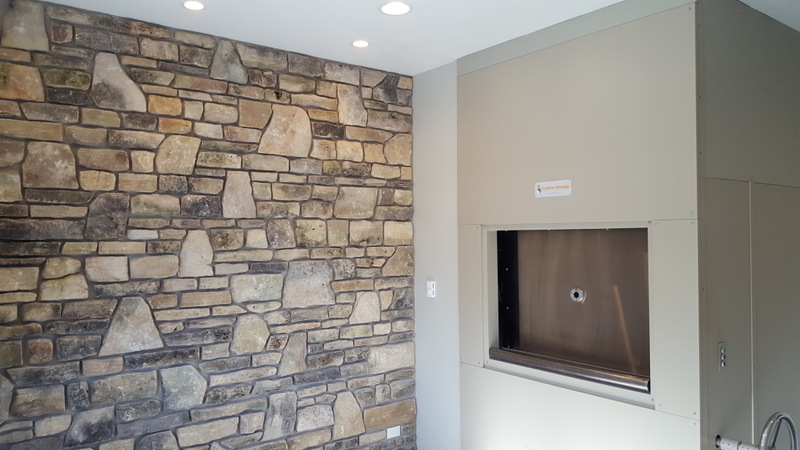 When Door County Crematory LLC was constructed, all of the families considering cremation were thought of to create a comfortable, welcoming environment. 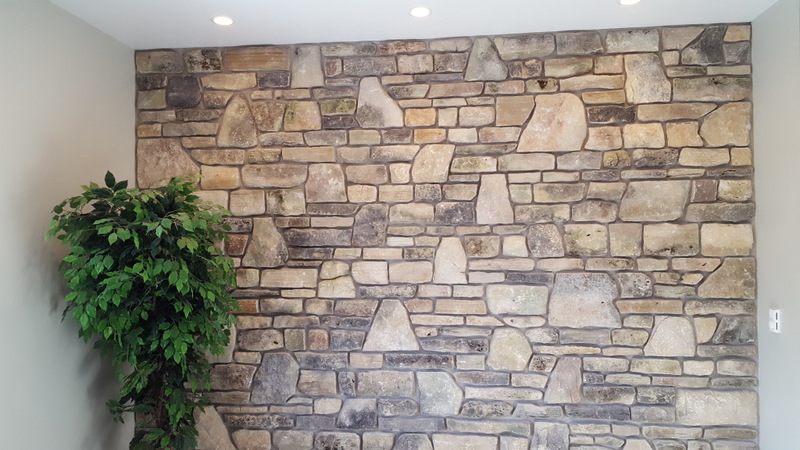 The stone wall feature was constructed using Door County stone. Our family put a lot of thought and research into the crematory retort manufacturer that would be best for Door County Crematory LLC as well as our home community. We considered the theoretical (combustion) process as well as other environmental factors.